There are evening concerts happening in seven simultaneous venues for three days. 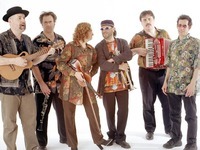 2/3 of Australian band Klezmeritis will be touring New Zealand for the second year in a row, soon under the duo guise of Gypsy Nights - Klezmer with gypsy, russian, continental, jazz, middle-eastern and tango music. Ernie Gruner on violin, stories. Phil Carroll on accordion, ney, singing. This year's festival is dedicated to the memory of Roman Kunsman. All proceeds from the evening will be dedicated to Institutions of Torah and Good Works. (Mediterranean Towers), Sireni 58, Kfar Saba. 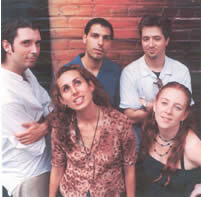 foundation for modern Israeli folk music. Israel Brandmann. We will also perform songs by Chopin and Rachmaninoff. The Zfat festival is scheduled to be on 17-19 August 2004. This summer, for the first time ever, the world's leading Classical, Jazz and Klezmer clarinetists will come together in the historic Old City of Safed - international spiritual home of Kabbala and Klezmer - for a landmark program of performances and master classes. The program of the festival includes lectures and musical events. Sunday January 16, 2005 on The Beat with Ben Bresky on Israel National Radio.com Eastern Standard Time 11:00am- 12noon, Israel time, 6:00pm-7:00pm. Corner Prophet's very own Mobius One spinning hip hop, reggae, funk & more, followed by a midnight screening of South Park creators' Trey Parker and Matt Stone's recent film, Team America: World Police. Neviim B'Pinah is a newly formed cultural initiative intent on fostering provoking new cultural experiences upon the Jerusalem landscape. Our current goal is to liven up Jerusalem's underground hip hop scene with that ill charif flavor, bringing MCs, human beatboxes, spoken word poets, graffiti artists, breakdancers & DJs together for an array of events throughout the holy city. For more info, visit www.cornerprophets.com. Our monthly hip hop freestyle cipher. Hosted by Sagol 59, with special guests. Featuring performances in Hebrew, English, Russian and Arabic. After the cipher, roll on through to xD1 and catch Markey Funk gettin' down on the decks. Wednesday, March 9 @ 10 PM -- DJ Mesh vs. Walter The Einstein Frog. Two of Israel's nastiest hip hop DJs duke it out on the decks. At xD1, Ben Sira 4, Jerusalem. 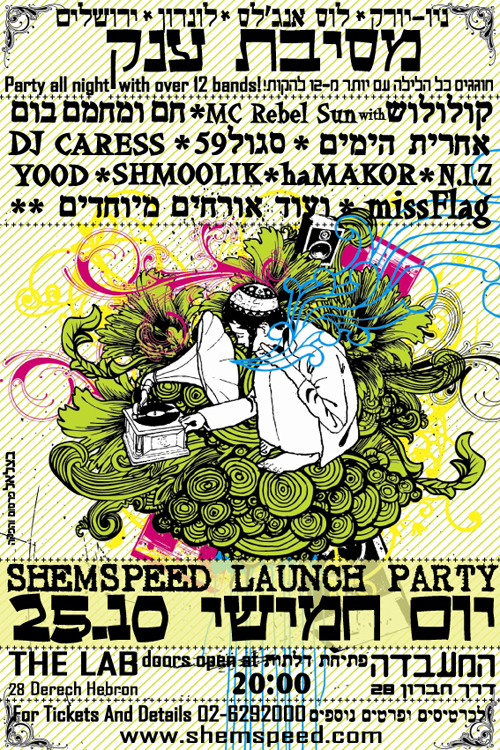 Jerusalem's only monthly hip hop freestyle event! Hosted by Sagol 59 with DJ Mesh. Featuring A7 (Rebel Sun), Rocky B, Bangla Death, M. Serious & MC Klin with very special guests, For Real, representin' Ofakim. At Daila, Shlomzion Hamalka 4. Co-sponsored by Heeb Magazine <www.heebmagazine.com and JDub Records <www.jdubrecords.org. Thursday, March 31 @ 9 PM -- Old Jeruz Cipher III: Jerusalem's baddest (not to mention only!) monthly hip hop throwdown. Facilitated by Sagol 59 (unless they drag him away to the army this month) with special guests (TBA). At Daila, Shlomzion HaMalka 4, Jerusalem. Once again, the Old City of Safed will host an international group of musicians, for the Second Annual Clarinet and Klezmer in the Galilee program of Clarinet Master Classes and Performances. 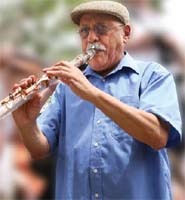 The 2005 program will be under the Artistic Directorship of Giora Feidman, Master Klezmer and Classical Clarinetist. The Zfat festival is scheduled to be on 23-25 August 2005. For more information, visit www.matisyahu.org. Nign" (word and melody): Yiddish Poetry in Leybu Levin's creativity. Here to put this misconception to rest are Charley Warady and Ray Hanania, two comedians - one Israeli, one Palestinian - who have put their religious and political differences behind them and joined forces to inject some much needed laughter into our embattled landscape. On this Saturday, in Meron, the traditional Hillula (Moshe Rabeinu's day of birth and death) at the tomb of Rabi Shimeon Bar Yokhai. A lot of klezmer music, chassidic dancing, and of course "Khalakes" (first haircut to 3 years old kids). anyone who is in the region (Israel) is invited. Moshe Berlin posted dates for this year's Tzfat Klezmer Festival, held annually in Israel. Since the organization that arranges the festival tends to be short on web savvy, this (and the entries that will go on the KlezmerShack calendar) may be as much information as you can get without actually being in Israel. I am pleased to announce a very special concert which will be held as part of the Klezmer Festival in Tzfat, Israel. This concert is being sponsored by Emunah Women, who brought together the artists for a unique evening of prayer for the women of the North and for our abducted soldiers. Tuesday August 14th at 8pm at the Sarayah Courtyard, Tzfat. "L'Emunah Mizmor: Women's cantorial and soul music"
This is a concert by women for women, representing women from across the Jewish spectrum. The concert will feature cantorial, soul, Israeli, prayer oriented show tunes, rock, klezmer (instrumental) and more. 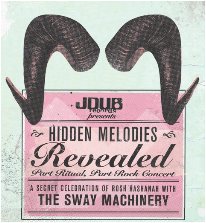 Tickets: 35 shekel - for more information, please email me. at Rehov Yermiyahu 52 - Romema - Jerusalem. A Yiddish Chanukah Party for children and families. Food, stories, songs and more! Special guests: Yiddish students from Tel Nordau Elementary School. אמביוולנטיות, ריחוק או קרוב לבבות? Rescheduled for Mar 13, 2008. This Thursday (13-14 of March) between 21:00 - 02:00, the traditional Hilula in Meron. Anyone who is in Israel and is interested in the klezmer tradition of the land of Israel - don't miss it. For further information, email Moussa Berlin. Nomi Teplow joins Neshama Carlebach in three shows here in Israel. Neshama will present songs from her new album as well as Carlebach favorites. Nomi will appear with songs from her first CD and from the new one soon to be released. Some great duets are planned! Dan Nadel Group, with Special opening act "Diwan Saz" (Turkish, Kurdish 10-piece orchestra. This is a homecoming show for Dan Nadel who makes Brooklyn, NY his current home. Musicians include Gilad (Al Di Meola's Drummer!!!) and Assaf Hakimi on Bass. Also featuring Michal Cohen, vocals. This show will be the first in a series of many concerts sponsored by WOMINI (World Music Institute of Northern Israel) at Ohel Yael - "The Massada of the North". Information (in hebrew) on the klezmer festival in sfat in the galil. This August, 18-20th. Absolutly fantastic, free, loads of people, bands, not always purist klezmer but very much authentic alive music. On Wednesday, October 22nd at 11:30 A.M., at the Arbeter-ring, 48 Kalisher Street, Tel Aviv, our Culture club will be hosting our beloved guest from Hamburg, Dorothea Greve ("Shevele"), together with 15-17 members of the Solomon Birenbaum Yiddish Club, who will present literary readings commemorating the 100th Anniversary of the Czernovitz Yiddish Language Conference. All members of our Culture Club and Yiddish-lovers of Israel are invited. We are happy to make you a part of an important cultural event. 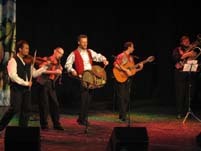 In 2007 the idea to popularize Israeli folklore and folklore of different Israeli communities together with connoisseurs of the international folklore traditions united their efforts to set up a new cultural forum - an annual Folklore Festival taking place in Rehovot, the center of Israeli science. The 2nd Folk Dance Contest! Please join us in this celebration of thanksgiving that will impact generations to come. Women's Voices for AVIsrael "השמיעיני את קולך"
Author Naomi Ragen, Singer/Songwriter Nomi Teplow and The Leora Damelin: Women's Dance Company. All proceeds to benefit Deaf Children at AVIsrael. Millie Wolf – mobile - 054-6777048.
ou are all invited to hear Ashkenoise at Levontin 7 in Tel Aviv this monday, February 16 at 8PM. I realize it may be a bit of a commute for some of you, but this will be the premier performance of this new 7-piece band and we will be joined by the fantastic Yiddish singer from Jerusalem, Ruth Levin. The band includes some of Tel Aviv's top jazz and ethnic musicians, including Dani Benedict on drums, Ben Danzig on electric bass, Daniel Hoffman, violin, Vitaly Podolsky on accordion, Arad Yeni on trumpet, and Gershon Waiserfirer on marching trombone. This is the premier show for Nomi's new concert series featuring songs from the new CD "Like A Rushing Spring" as well as some of her popular hits. After the show -- A pull-out-the-stops dance! Lenka Lichtenberg (voice, piano), Daniel Hoffman (violin), Kinneret Sagee (clarinet), Alexis Basque (trumpet). Di Shekhter-tekhter & Binyumen Schaechter in Israel! No reservations. Seating begins at 16:30. No reservations. Seating begins at 19:00. Mycale - a cappella collaborative vocal arrangements to John Zorn tunes from his amazing Book of Angels. improvised guitars and computer music. Event description: Eyal Maoz (NYC) with Amos Elkana and Eran Sachs—improvised guitars and computer music. Live guitar with effects, along with MAX MSP live manipulations and composition. Eyal Maoz (NYC, Tzadik) Trio with Gabriel Meir and Asaf Sirkis. Gan Shmuel, Road 65, in the Bowling Hall. Eyal Maoz: guitar, Gabriel Meir: bass, Asaf Sirkis: drums. On Thursday night, November 24th at the Mayer Museum of Islamic Art in Jerusalem there will be a special concert of Yemenite music. "Travels to Yemen," a photography exhibit of the work of Naftali Hilgar is currently displayed at the museum. 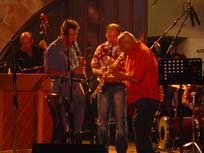 Featuring singer Shlomit Levi, percussionist Avi Agababa, and RebbeSoul. Thursday, Dec 8 at 8:30 at the Inbal Theater in Tel Aviv, Daniel Hoffman will be premiering a new project with a fantastic band- Gilad Ephrat on contrabass, Boris Martzinovsky on accordion and Yair Salzman on drums and percussion. He'll be playing traditional klezmer fiddle music as well as many of my own compositions based on the old style. He'll be performing the show on a violin from Tel-Aviv based violin maker Amnon Weinstein's Violins of Hope collection. These are violins that have been rescued from various locations that belonged to klezmorim who perished in the Shoah. Musicians are invited to bring their instruments, photo artists are invited to share their talents, dancers will surely jump at the occasion to perform, and everyone else is invited to clap and sing! 11PM The Sway Machinery--rocking the incandescent from Transylvania to Timbuktu! 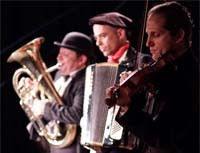 Performances and workshops with leading klezmer musicians. Tens of thousands of international and local visitors are expected to attend this years (6-8.08.13) International Klezmer Festival in Zefat. The biggest festival of Jewish soul music in the world that is in its 26rd year in Zefat. Among the artists appearing this year – David Daor, Mirel Reznik, Aharon Razel, Eyal Shiluah, Golan Azulai, Hamadregot, Ben Snof, Daniel Zamir, Musa Berlin, Jimmy Lloyd, Womens group "Klezmiriot", groups and special artists from around the world, Bimat Karliback and many others. With Joel Rubin, Moshe Berlin, Frank London, Lorin Sklamberg, Chilik Frank, Pete Rushefsky, Guy Schalom, Christian Dawid, Eyal Shiloah, Daniel Zamir, Eyal Sela, Naor Carmi, Liat Saba, Uri Brenner, Orit Shiloah, Miriam Jaskierowicz-Arman. רחוב ביאליק 26 , תל אביב. שלושה כלי נגינה טיפוסיים למוסיקת הכליזמר בגרסתה הישנה - הכינור, הצימבלום והצ'לו - מציירים יחדיו תמונת נוף נוסטאלגית ורחוקה, ומזמינים למסע בזמן אל תקופה בה הטבע היה חזק מהאדם. בשיתוף בית שלום עליכם ובית לייוויק. אולם שרת פ"ת, בהשתתפות מקהלת "נווה שיר". ניהול אמנותי - ד"ר רחלי גלאי. המרכז למוסיקה פליציה בלומנטל, ת"א. טרעפֿענונג אינעם ציקל "די מענטשלעכע איבערלעבונג"
אויף אַ קאַווע, אין אַ היימישע אַטמאָספֿער. מרכז קהילתי ע"ש רייך, ת"א. הדלקת נר שני - מוסיקה ויצירה לכל המשפחה Wednesday, December 17, 5:00pm הבית בדב הוז 30 דב הוז 30, Tel Aviv, Israel בית לייוויק ובית תפילה ישראלי מזמינים את כל המשפחה - סדנת קומיקס ואיור לילדים והדלקת נרות רב-תרבותית מוסיקלית. בית תפילה ישראלי, שלמה המלך 100 תל אביב חג אורים שמח ולהתראות ! אופרה קאמרית ביידיש עם תרגום לעברית. מופע זה מהווה מסמך היסטורי חי ונושם, אשר מוצג דרך חוויה מוזיקלית-תיאטרלית של שירה, משחק, ריקוד ווידאו ארט. מוצ"ש, 27 בדצמבר בשעה 20:30. יום שני, 29 בדצמבר בשעה 20:00. This will be followed by a Yiddish concert with the singer Vira Lozinsky accompanied by the pianist Regina Driker. Wednesday, September 7th at 11:30 A.M. 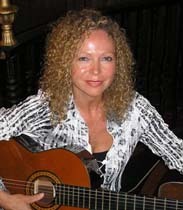 Following the lecture, Esti Nisim will perform Yiddish songs accompanying herself on the guitar. Wednesday, September 21st, 2016 11:30 A.M.
" העולם המופלא של המוסיקה "
בית לייוויק - המרכז הישראלי ליידיש מזמינכם לאירוע בכורה ליצירה מוזיקלית "רוקדים עם אנה פרנק" המבוסס על יומנה של אנה פרנק טרם ובמהלך מלחמת העולם הראשונה. בכורה ליצירה מוזיקלית על חיי אנה פרנק. 15 תמונות המבוצעות במוזיקה, ריקוד ושירה. גוונים של כליזמר לפני קבלת השבת - תכנית מוסיקלית מעולם היידיש בהנחיית אמן הקלרינט גל קליין. מופע מוסבר ואינטראקטיבי עם הקונסרבטוריון העירוני הרצליה ובתמיכת הרשות הלאומית לתרבות היידיש. זמרת היידיש פולינה בלילובסקי מציגה ושרה מתוך "מבחר עשרה שירים ביידיש" מתוך אלבום האיורים לשירי יידיש של הציירת איטלה מצבאום. פולינה, מזמרות הפולקלור היידי הבולטות בארץ ובתחום, שרה בליווי גיטרה ומספרת את הסיפור מאחורי כל שיר יידי אותו בחרה לצייר איטלה מצבאום. האירוע יתקיים ביום שישי 24 במרץ 2017 בשעה 11:00. במכון הרומני לתרבות, שדרות שאול המלך 8 תל אביב, בשעה 18:00.